The inaugural edition of the Pan Celtic Race will start in the ancient heartland of Scotland, home to tartan clan warriors, the highest peaks and of course Whisky. 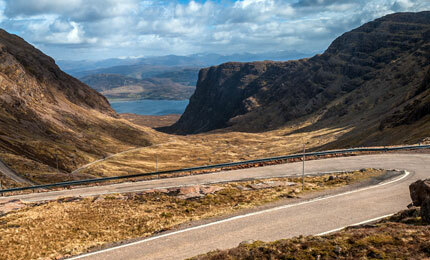 Circumnavigation of the highlands will take in the remotest roads on the British Isles. The North Sea will be a regular companion, as will stags and highland cows. 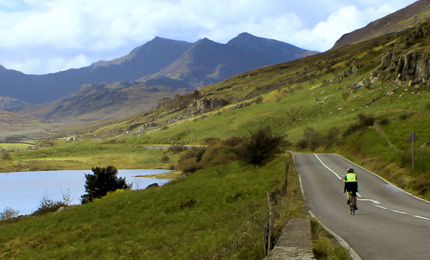 Stunning coastal roads, tempered with desolate moorlands, wild forests and eye watering mountain peaks will draw the rider towards to the first checkpoint at Ullapool – Hot food, shelter and a firm handshake! The road continues South, taking in the magnificent Bealach na Bà, Loch Lomond and onwards through Galloway Forest National Park to the port in Cairn Ryan. Riders will have a mandatory rest whilst a ferry takes them from Cairn Ryan to Belfast, Ireland, providing an opportunity to refuel and gather the resources for the next leg of the journey! In order to prepare fully for the race, please take a look at the detailed route guide above. You can also download the GPX file for use during the race. For ferry times, please use the link to the Stena website timetable. The Pan Celtic Race Route has an overall distance of 1388 miles / 2236 km, with 74,797 ft / 22,798 m of elevation gain. Stage 1 starts in the ancient heartland of Scotland, home to tartan clan warriors, the highest peaks and of course Whisky. 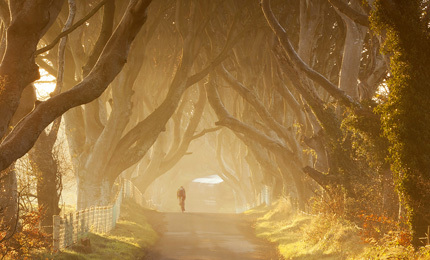 Stage 2 starts in Belfast which welcomes the riders and provides the gateway into the Emerald Isle, Leprechauns and Guinness. 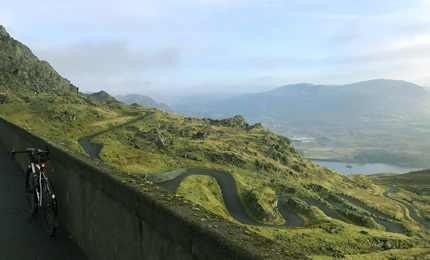 Stage 3 starts in the port town of Fishguard, where riders will push on through hills and valleys rich in Welsh tales of dragons!